I have been walking a serious healing journey since 2004, when I first became disabled by chronic illness involving Lyme disease. During the first few years that I was sick, I quit my job, sold my home, depleted my 401K, and spent every last dollar of my savings on medical treatments. Finally, I am in a much better place, but it has taken me a long time to get here. In the meantime, I have learned many lessons, including what it truly takes to get well from chronic Lyme. I have done many types of therapies throughout my healing journey. To treat the Lyme disease infections, I have used pharmaceutical antibiotics, Rife machines, biophoton therapy, and high-dose herbal remedies, among other treatments. While all of these approaches have been useful for lowering my pathogen load, some produced harmful side effects and none were sufficient by themselves to either eliminate the infections or my symptoms. Biophoton therapy, for instance, removed some of the Borrelia infection in my body, but was ineffective for treating other infections, and caused me to become more sensitive to electromagnetic fields (EMFs). As another example, pharmaceutical antibiotics were effective for significantly lowering my pathogen load, according to Autonomic Response Testing and Zyto test results, but after 15 months of intensive therapy with multiple combinations of 5-6 types of antibiotics, I felt no better than when I had started. In fact, I felt worse. (And this was after doing about four years of other antimicrobial treatments, including Rife, herbal and biophoton therapy). I surmise that I felt worse partly because the antibiotics had caused some damage or at least stress to my body, which took months to resolve (although the side-effects finally did go away!). And I discovered that I wasn’t just ill from insect-borne Lyme disease infections; multiple other factors, such as hormone and neurotransmitter dysfunction, emotional trauma, and other pathogenic infections such as mold, were also making me sick. During the first years that I was ill, I focused more upon removing the infections from my body than upon healing my “inner terrain.” Fortunately, over time, I found that detoxifying and rebuilding my body with nutrition and other therapies was just as important as eliminating the infections. And this is what finally helped me to finally feel better, after many years of antimicrobial therapy. Because of what I learned, I published a book in 2012 entitled, "Beyond Lyme Disease: Healing the Underlying Causes of Chronic Illness in People with Borreliosis and Co-Infections" [beyondlymedisease.com], to teach people that Lyme disease isn’t just “all about the bugs.” Most people with chronic Lyme have multiple other factors that are making them sick besides infections, and in this book, I describe some of those factors. Nonetheless, treating the Lyme infections is also important. As a result of my experience and what I have observed in other people with Lyme, I believe that pharmaceutical therapy is useful and sometimes even necessary, especially if a person’s health is declining rapidly. (By the way, I am not a doctor, so what I share here should not be construed as medical advice!) But because of the long-term side effects that antibiotics can cause, I prefer natural remedies as a first line of defense, and antibiotics only if the natural remedies fail. Herbal remedies can be just as effective as drugs and other therapies, if properly prescribed. Antibiotics are also disadvantageous because they weaken immune function by destroying beneficial bacteria in the gastrointestinal tract and on the skin. These bacteria kill incoming pathogens from the environment, which enter the body through the air, skin, food and water supply. Seventy percent of all pathogens are removed by these beneficial bacteria, so if they get destroyed by antibiotics, then it’s possible for other infections to enter the body and overburden the immune system. Antibiotics also encourage the creation of “super bugs” which can be resistant to therapy, and they damage the environment and body in a variety of other ways. I am grateful that antibiotics removed some of the infection from my body, but they also harmed it in more ways than one. The drugs taxed my organs, caused my circadian rhythm to be disrupted, and caused me to develop a systemic yeast infection (despite taking probiotics throughout the therapy). I also have blurriness in my right eye as a result of one particular medication. During the course of therapy, I also became allergic to one medication, and spent six weeks lying on my floor and in my bed, because my liver was so stressed from the medication and I couldn’t even sit in a chair due to extreme fatigue. While powerful, antibiotics also failed to completely eliminate the infections, so in 2010 I once again began an herbal antimicrobial protocol using NutraMedix remedies. I had used these remedies before, but not by themselves (that is, without also taking antibiotics), and not according to the protocol that is recommended by Lee Cowden, MD, who is an expert in their use and a consultant to the NutraMedix company. 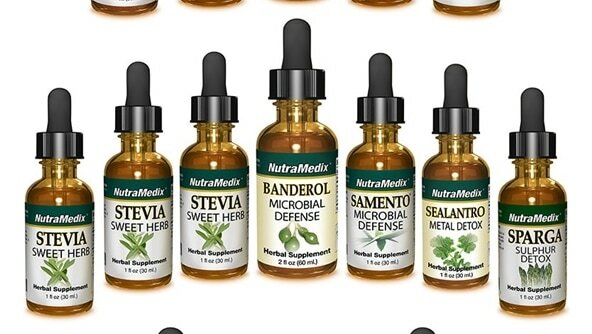 So in early 2012, I began taking NutraMedix’s antimicrobial remedies to treat the low-grade Borrelia and Bartonella infections that remained in my body, as well as the systemic fungal and mold infections that I had developed as a result of prolonged antibiotic use and from living in a damp environment. I took Banderol, Cumanda and Samento according to the Cowden Support Program, which is a protocol developed by Dr. Cowden in 2007, and which was initially designed for the treatment of Borrelia and co-infections. (Today, however, the Program is also used to treat many other types of chronic health conditions, since it effectively removes a broad variety of toxins and infections from the body). The products used in the program are listed on the NutraMedix website: www.nutramedix.com as well as the Bionatus Labs website: http://www.nutramedix.ec. The Bionatus Labs website provides the most comprehensive product and Cowden Support Program information —including a 2-page summary of the program, a 270-day treatment schedule; videos, study reports, product information sheets and testimonials — since FDA rules prohibit NutraMedix from publishing that information on their US website. Along with the NutraMedix antimicrobial remedies (which I dosed at 50 drops per remedy, twice daily), I took biofilm-busting systemic enzymes, such as nattokinase and lumbrokinase as well as serrapeptase, which are a part of the Cowden Support Program. After six months of treatment, I felt much better and the infections no longer showed up in my body on Zyto scans or by Applied Kinesiology testing. At times, I wonder if I would have had to take long-term, high doses of antibiotics or spent so many years treating the infections with other therapies, if I had tried the Cowden Support Program from day one. This is something that I will never know for sure, but it seems that the herbal remedies were effective for removing some of what the antibiotics did not. Throughout my journey with Lyme, and having spoken to many people with Lyme, I’ve also learned that there is no such thing as a “one-size-fits-all” protocol for everyone, and different healing strategies work for different people. Still, I encourage anyone with Lyme disease to try the NutraMedix herbal remedies as a first line of defense against the infections, not only because they have been proven, both anecdotally and in studies, to be effective, but also because herbs don’t cause the same long-term, damaging side effects to the body as antibiotics and other drugs. The NutraMedix herbals are also reasonably priced, and while I believe that it’s always important to work with a health care practitioner, all of the products in the Cowden Support Program are listed on the NutraMedix website: www.nutramedix.com, which means that people who can’t afford to see a Lyme-literate doctor could technically do the protocol on their own. Furthermore, NutraMedix donates many of its proceeds to humanitarian missions and to helping the underprivileged around the world, which is a nice consideration when choosing to purchase products from one type of herbal company over another. Today, I am much better than I was nearly ten years ago. I have not “arrived” by any means, but I feel decent on most days. I can work, do moderate exercise and travel. I don’t cry daily anymore, as I did for so many years, and I awaken most days hopeful and expectant. My mind is clear, my mood stable, and my body strong enough to get through my day-to-day tasks without a struggle. I consider these to be great accomplishments, since ten years ago I could barely get off of the sofa. In short, I have made great strides in my healing. I now hope to be able to continue to help others through what I have learned, and encourage them with the thought that there is hope, and there are options, even when antibiotics or other therapies have failed to make them well. 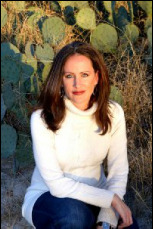 Connie Strasheim is a medical researcher and author who has co-authored three books in the Journey to Wellness series (2014) with Lee Cowden, M.D., in addition to five books on Lyme disease, cancer and spiritual wellness. For more information, visit ConnieStrasheim.com.